While Dieselgate is depleting hard earned piles of VW’s cash, it needs to rethink its market strategy to refill the losses. Hence the sudden crossover offensive from the corporation, exploiting SUV craziness dominating last decade. That’s how we came to new Kodiaq last year, incredibly big compact crossover, along with new Ateca, all joining the Tiguan in already quite full automotive segment. But that’s not all from Skoda, as it is about to raise the game with upcoming 2018 Skoda Kodiaq Scout. 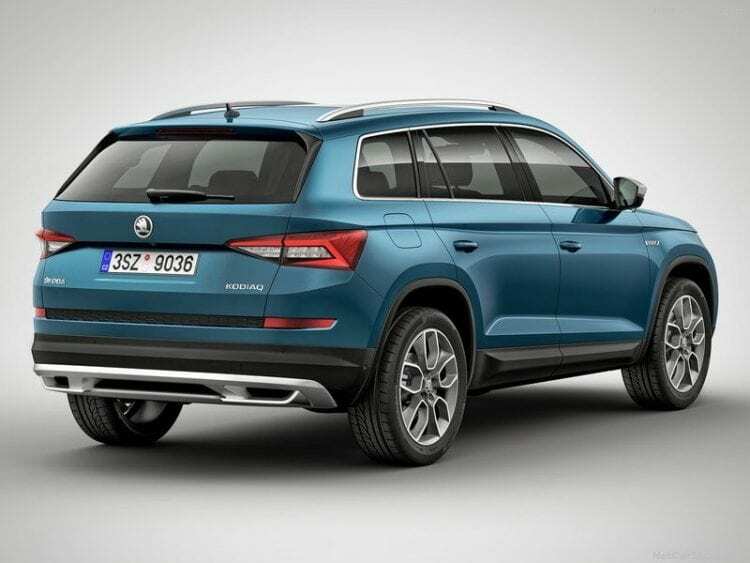 2018 Skoda Kodiaq Scout SCOUT? The moniker could be easily confusing. We had Octavia, Fabia, and Roomster Scout so far, gaining conclusion that Scout counts for AWD, SUV-ish plastic moldings, skid plates and some raised ground clearance for otherwise estate wagons, basically making it as the same idea as Audi’s Allroad. So, what does Scout do with one SUV? SUV should have AWD, plastic protection, skid plates and raised clearance from the start? If we stick to the strict meaning of SUV, Kodiaq, like all other of its rivals, is actually CUV or crossover, not promising much in rough terrain excursions. As Octavia in Scout layout is still an estate wagon, but more capable one, so in the same manner here will the Scout part jump in to help you understand that it is still CUV, but a more capable one. 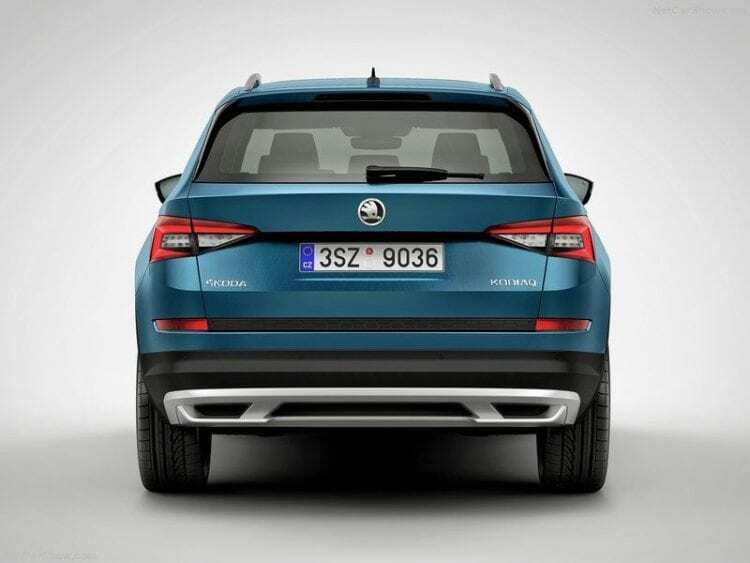 With Skoda, all emphasis is on the reason. Kodiaq is huge and relatively cheap, but because of that, you are getting one boring vehicle. This could be another good point for Scout version carrying some styling jewelry. Grille is encircled with silver color, and same goes for lowest part of the front and rear bumpers, along with side mirrors. There are new 19-inch wheels specially made for it, and not many things are added, but Kodiaq desperately needs upgrades that can make it more interesting. The cabin is as monotonous as the outside of the regular model, but it is incredibly spacious, well built and nicely equipped. Scout starts with Ambition package, which is a middle ground between three levels of equipment, which would include lots of standard equipment: multifunction steering wheel, LED ambient lighting, Infotainment system, Alcantara-covered seats with the Kodiaq logo, door trims in the Alcantara design, steel pedals and some additional Kodiaq badges. Since it carries Scout within the name, it has to justify it. And it will. As we said it remains crossover, but more eager for dirty work now. This implies that Off-Road Assist and Rough-Road package are mandatory, so underneath there some extra sheets of metal protecting its sensitive parts. It didn’t become 4WD with this, it is still AWD, but with clever locking differential technology now. Upon usual street cruising only front wheels are powered, but as soon as there is a loose traction on the way, rear wheels gain instant momentum. With a simple press of the button, ESP will allow more wheel slipping than usual, dampers will be reconfigured, and throttle response becomes slower. Couple everything with Hill-Hold and Hill-Descent Control and we have quite a nice package here. As with regular Kodiaq there are four engine options. Starting with 1.4-liter TSI petrol producing 150 hp, taking 9.8 seconds to 60 mph, with the 2.0-liter TSI 180 hp, hitting 60 mph in 8.0 seconds. As diesel offer, there is 2.0-liter TDI unit with two power outputs, with 150 hp taking 9.5 seconds to 60 mph, and 190 horses and 8.9 seconds of acceleration time. None of the figures is mind blowing but all engines are refined, and fuel efficient making offer satisfactory to some point. This one is far from being charming and alluring when it comes to crossover offer. It dances to a different tune, and it offers most that you get from every penny, except style. There comes 2018 Skoda Kodiaq Scout who does bring a little bit more style and some more capabilities, making it the much more appealing choice over the regular version. If you are interested, just wait a little bit for Geneva and official presentation and be ready to cash out around $2,5k more by our estimation, as that is the case with Octavia which received Scout treatment.